WL’s Take: Take a step back in time on the P.O.V. indoor rooftop lounge and party at a retro burlesque soirée featuring pool, dancers and shadow boxes. Acclaimed cover band Gonzo’s Nose will perform in the Altitude Ballroom, and DJs will keep the music going all night long. Party Details: For an all-inclusive $200, guests will have an open-bar from 8 to 10 pm, appetizers and desserts throughout the night, and a toast to the arrival of 2012 with champagne at midnight. For tickets and more information, click here. If you feel like partying all night, the hotel is also offering a room package. Starting at $669, the package includes a Wonderful room, two tickets to Pinstripes and Pinups, and a 2:00pm late check-out. For room packages click HERE. WL’s Take: Party like it’s the last night of your life with your favorite people at Eden’s End of the World New Year’s Eve Party. 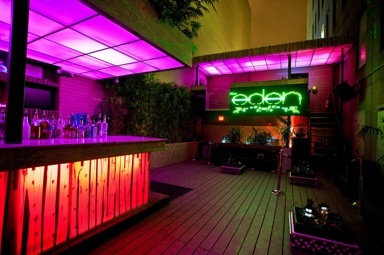 With a slew of different packages, Eden makes sure to accommodate all guests for a night of unforgettable fun. Party Details: $30 for individual tickets includes party favors and a complimentary toast at midnight, $750 and $1000 for VIP Package, $5,000 for Ultimate End of the World Package (up to 40 guests) which includes VIP admission, a private VIP section, 24 bottles of Moet and Chandon Imperial Rose Champagne, and 10 bottles of premium liquor. Each package accompanied by a complimentary champagne bottle to ensure you to cheers till the end. For tickets and more information, click here or call 202-491-2165. WL’s Take: Go rogue this New Year’s Eve with a 24 course meal by Rogue 24’s chef RJ Cooper and an open bar of hand-crafted cocktails made by mixologist, Derek Brown, the man behind the bars of The Passenger and Columbia Room. Party Details: This tasty adventure is all-inclusive for $150, and will be offered from 5 pm to 7 pm. For tickets and more information, click here. Opera DC's orchestra shaped lounge can hold up to 300 guests. 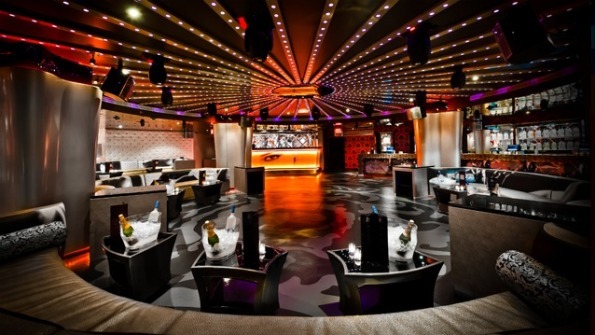 WL’s Take: Ring in 2012 with mystery and intrigue at one of D.C.’s newest nightclubs. Party in disguise and reveal your true identity when the clock strikes twelve at Opera’s Venetian Masquerade Ball. Party Details: Opera is offering three types of admission, General ($50), Couple ($90) and VIP Couple ($295) as well as three different table reservation packages depending on the table: Orchestra ($950), Balcony ($1250) and Fire Box ($1,500). The event runs from 9pm to 4am. Each table packages comes with a different variety of bottle service ranging from Magnum Grey Goose Vodka, Veuve Cliquot and Dom Perignon champagnes and Patron Silver Tequila. For tickets and more information, click here. WL’s Take: Choose whether you want to be hot or cold this New Year’s Eve with Lima’s Fire & Ice Party. The lounge’s interior will be transformed with ice sculptures, icicles and an ice bar, while fire flickers on the lounge’s stage and warm light projects through the room. Party Details: For an all-inclusive $150, guests will enjoy an open bar featuring both icy and fiery creations, a champagne toast at midnight, and hors d’oeuvres all night long. Each attendee will also receive a party favor. For tickets and more information, click here. WL’s Take: Dine and dance this New Year’s at U Street’s boutique steakhouse Lost Society with top shelf cocktails and the perfect New Years soundtrack provided by DJ Gavin Holland and Chris Burns. Enjoy their rooftop view of D.C. and the lively celebration on U Street. Party Details: $25 for individual tickets in advance, $250 for table reservations; For more information and tickets, click here or call 202-618-8868. 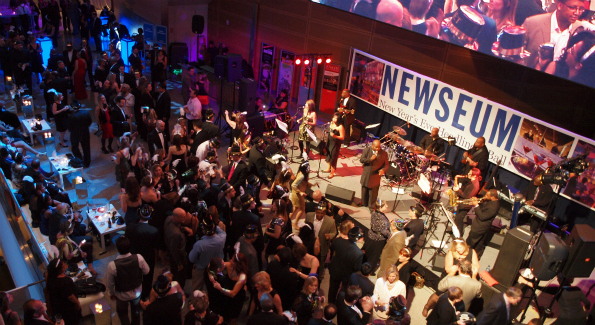 The Newseum will host its second-annual Headliners Ball on New Year's Eve. Photo by: Gary Cline/StudioEquiShots, LLC. WL’s Take: Count down to the New Year by visiting your favorite Newseum exhibits while enjoying live music by Round Midnight and DJ Scientific Beats along with food and cocktails designed specially by Wolfgang Puck. Newseum will have it’s own dance floor specifically for the celebration and hard to miss countdown will be projected on a 40-foot by 22-foot high-definition video screen. Party Details: $195; Additional cost for dinner at The Source by Wolfgang Puck; For more information and tickets click here. WL’s Take: Revisit the 60’s with a NYE showing of the hit musical comedy Hairspray, and then party like it’s 1962 with a night of mod outfits, swinging music and the entire cast of the Signature Theatre Hairspray Production! Party Details: $87 for the performance and $100 for the party, which includes an open bar, a midnight champagne toast and a DJ sure to keep you on the dance floor. For tickets and more information, click here. 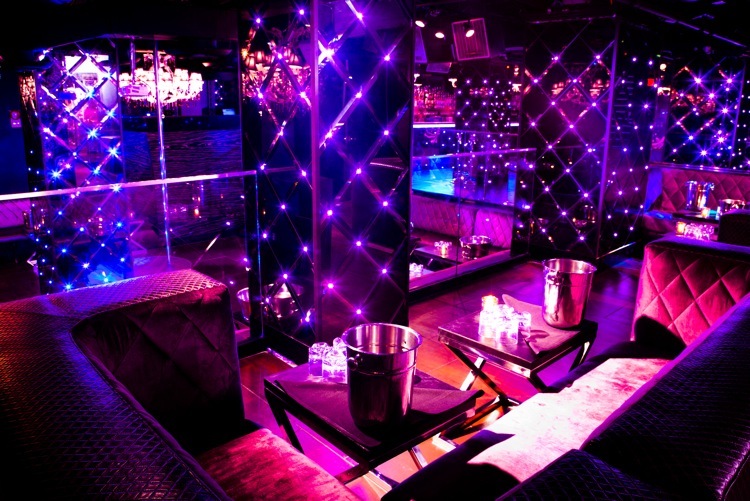 WL’s Take: Bring in the New Year with style with Josephine’s newly enhanced and renovated nightclub. With an expanded dance floor and purple ambiance, guests will party among the lavish, modern décor and bright lights to the sounds of special guest DJ N’dy, from one of Miami’s most famous nightclubs, Set. Party Details: $40 for individual tickets, $75 for couples; $1,000 for table service for 10 guests. For tickets and more information, click here or call 202-347-8601. 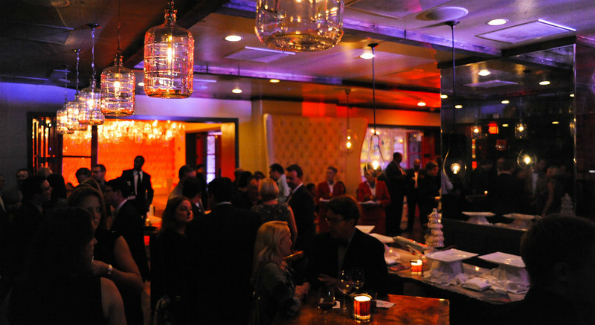 WL’s Take: Vibe and imbibe at one of Dupont Circle’s most upscale bars. Get started and grab a drink during a lively happy hour from 8-10 PM. Continue the night of celebration with an open bar, available to all guests from 10 PM-1 AM, along with an appetizer buffet served until 12 AM for hungry party go-ers. Party Details: $80 for individual tickets, $800 for tables up to ten people. For tickets and more information, click here or call 202-223-2200. WL’s Take: Ring in the new year with a glamorous celebration by looking back in time as Hudson hosts a 1963-style bash with an open bar, mouth watering hors d’oeurves, a fabulous late night menu, dancing and of course a champagne toast at midnight. DJ Eskay will be spinning the music of today and feature some favorite tracks of the Don Draper era. Party Details: $100 until December 20, $120 until December 31; For more information and tickets click here. The Lincoln will host a Roaring 20's Bash this year to celebrate the New Year. WL’s Take: Channel the spirits and fervor of another decade this New Year’s as Lincoln holds it’s Roaring 20’s Bash. To kick off the evening, guests are offered the option of a six-course dinner package, the menu personally arranged by Chef Demetrio Zavala, as well as the option of a premium open bar package lasting from 9 pm until 1 am. General admission allows guests access to Lincoln’s speakeasy, where party favors, food, and champagne will be flowing. Live music by David Akers and the Epitome will play inside, while DJ Cassidy will be playing today’s hits outside on the heated patio. Party Details: $65 for general admission, $150 for dinner package, $150 for open bar; For more information and tickets click here.